Just in time for the holidays, fans of Leslie Meier and Vicki Delany are going to want to pick up the charming third installment in Barbara Early’s Vintage Toy Shop mysteries. It’s all fun and games with toy shop owner Liz McCall until deadly secrets are unwrapped upon the eve of the holidays. Liz’s dad, retired from the police force, is asked to investigate since Ken is the prime suspect. The whole town is abuzz with the scandal and Liz has a few questions of her own, wanting nothing more than to forget the loud argument she overheard between Marya and Ken the night before. There could have been other motives… Was Marya going to cut into a competing hairstylist business? Who is the bumbling private investigator hanging around and why won’t he explain himself? 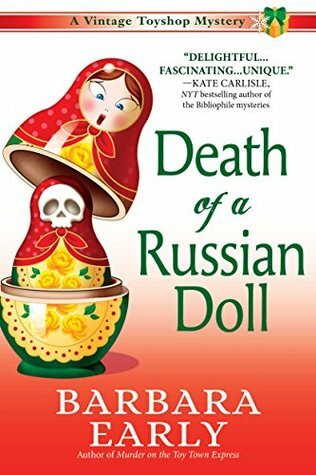 Death of a Russian Doll by Barbara Early is the third book in the cozy Vintage Toyshop Mystery series. Each book in the series has it’s own case to be solved within the book so they can be read as a standalone if choosing to do so however there is character building carried over from book to book. Liz McCall’s father used to be the police chief in their small little town but after retirement he decided to purchase a collectable toy shop. After opening though he realized he needed help and recruited Liz to help run the shop which she never expected but has settled into quite nicely. Liz had been dating the current chief of police Ken Young until his estranged wife Marya came to town whom Liz had no idea even existed. Now Marya is working next door to the toy shop in the beauty salon and Liz has to put on a smile and be welcoming. As much as Liz didn’t like having Marya around however she never wanted her to become a murder victim with herself and Ken as suspects. The Vintage Toyshop Mystery series is one that I have followed from the beginning and always enjoy reading the next installment. With Liz having such a connection to the police department it gives the stories that much more believablity. With the small town vibe, likable characters and interesting mysteries this is one series I will continue to return to with each new book. Barbara Early earned an engineering degree, but after four years of doing nothing but math, developed a sudden allergy to the subject and decided to choose another occupation. Before she settled on murdering fictional people, she was a secretary, a school teacher, a pastor’s wife, and an amateur puppeteer. 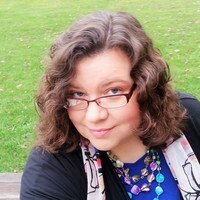 After several years living elsewhere, she and her husband moved back to her native Western New York State, where she enjoys cooking, crafts, classic movies and campy seventies television, board games, and posting pictures of her four cats on Facebook. This is her fourth mystery, and the third in her Vintage Toyshop series. This sounds like a fun series with a great setting 🙂 Awesome review! Aw, this sounds really cute, Carrie, and it’s wonderful to have a reliable series like this! Terrific review! This is a series that I did not get into when it first came out, so have passed since then. I am glad you are enjoying it. Nice review Carrie. If I ever get time, I might give it a try.